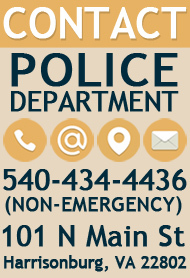 The Harrisonburg Police Department is embarking on an additional approach to managing the interfacing of some offenders and their victims, which traditionally focuses on the person committing a crime with little attention to the victim of the crime. The approach is called Restorative Justice, and while it’s been around for decades and is employed in many areas around the world, it is new to the Harrisonburg Police Department. Restorative Justice is an alternative approach to dealing with crime and wrongdoing that focuses on the often-ignored needs of victims, offenders and the community as a whole. The Restorative Justice process approaches wrongdoings as offenses against individuals, the community and society, and through a variety of techniques seeks outcomes that include victims being involved and satisfied, offenders understanding how their behaviors have affected others and taking responsibility for their actions, root causes of the harmful behavior being addressed, reparation for harm done, and both offenders and victims are satisfied with the process. Successful outcomes in these areas tend to reduce the likelihood of future offenses. To find out how the program works locally and globally, use the below files and link.